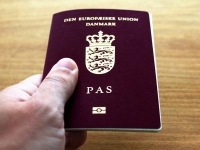 The Justice Ministry announced changes today designed to make it easier for foreigners to obtain Danish citizenship. Among the changes, which will come into effect on June 15, are a lessening of the Danish language and self-sufficiency requirements, changes to residency requirements, a promise to bring down case-handling times, and a pledge to move forward on allowing dual citizenship. The justice minister, Morten Bødskov (Socialdemokraterne), stated in a press release that the requirements for becoming a Danish citizen should be "high but realistic to live up to". "With this new agreement we have given individuals better incentive to integrate themselves because the requirements are now more realistic,” Bødskov said. “It is my expectation that [the changes] will make a positive contribution to successful integration." Johanne Schmidt-Nielsen of far-left party Enhedslisten, which joined the government coalition parties in making the agreement, expressed satisfaction with the changes but added that her party "would have liked to have gone further in some areas". "It is satisfying, and also high time, that the requirements for Danish citizenship have been adjusted so that there are not large groups of refugees and immigrants who in practice are barred from ever achieving citizenship," Schmidt-Nielsen said. "We entered into this agreement because it is a step in the right direction in relation to [former right-wing coalition government] VKO's totally inhumane rules." Specific changes will see citizenship applicants being required to pass an easier Danish language course, with the requirement that applicants complete the Dansk 2 language courses as opposed to Dansk 3. The changes will also finally see the heavily-criticised citizenship test (indfødsretsprøven), which includes questions on Danish history that even most Danes can't answer, replaced by a more modern test (statsborgerskabsprøven). This change should have already occurred but has been subject to delays. And while the test itself is still not ready, the Justice Ministry expects the first statsborgerskabsprøve to be administered in June 2014. Self-sufficiency requirements will also be relaxed so that applicants will only have to have been self-sufficient for two and a half of the previous five years. Residency requirements are also changed to make exceptions for applicants who live outside of Denmark with spouses who "work abroad for Danish interests". The agreement also commits to ensuring that Denmark falls in line with international obligations on citizenship for stateless applicants and with the European Court of Human Rights' requirement that children born both in and out of wedlock be treated the same in regards to citizenship. The government also plans to lessen the citizenship requirements for children who are born in Denmark to non-Danish parents, but a Justice Ministry spokesperson said that the specific requirements had not been determined yet. There is also a pledge to ensure that citizenship application processing times not exceed seven months. Finally, the government has expressed its commitment to move ahead on offering dual citizenship. A dual citizenship bill is expected to be presented in the 2013-14 parliamentary session, and with opposition party Venstre recently expressing support for the notion of dual citizenship, an eventual bill looks almost certain to pass. Zenia Stampe, an MP for government coalition party Radikale, welcomed today's announcement. "Finally! The new rules for citizenship are in place," Stampe wrote on Facebook. "It will be easier to become a Dane, and that is good news. Many people have had a burning desire to become a part of our community, but couldn't find a way through VKO's microscopic keyhole. Now they will get a new chance."